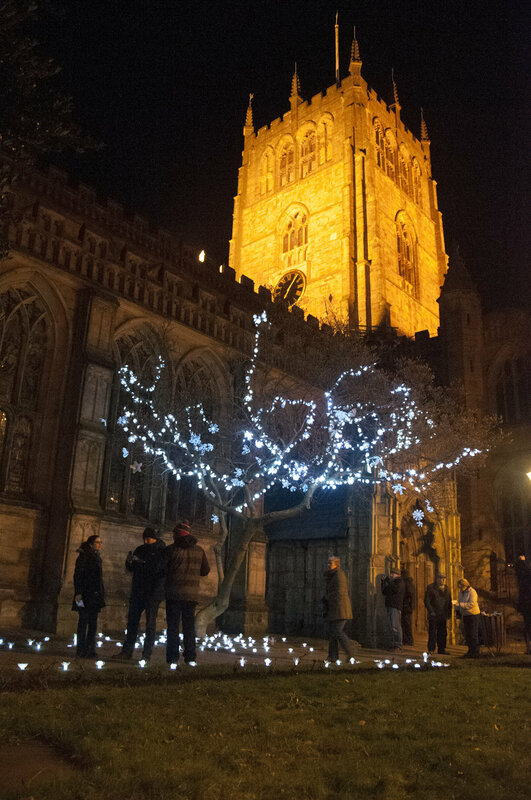 Thousands of plastic bottle lights adorned this bare tree, springing it back to life for Nottingham's annual Light Night event. The light installation was made for Nottingham's annual Light Night event. The tree in St Mary's church yard was the perfect setting. 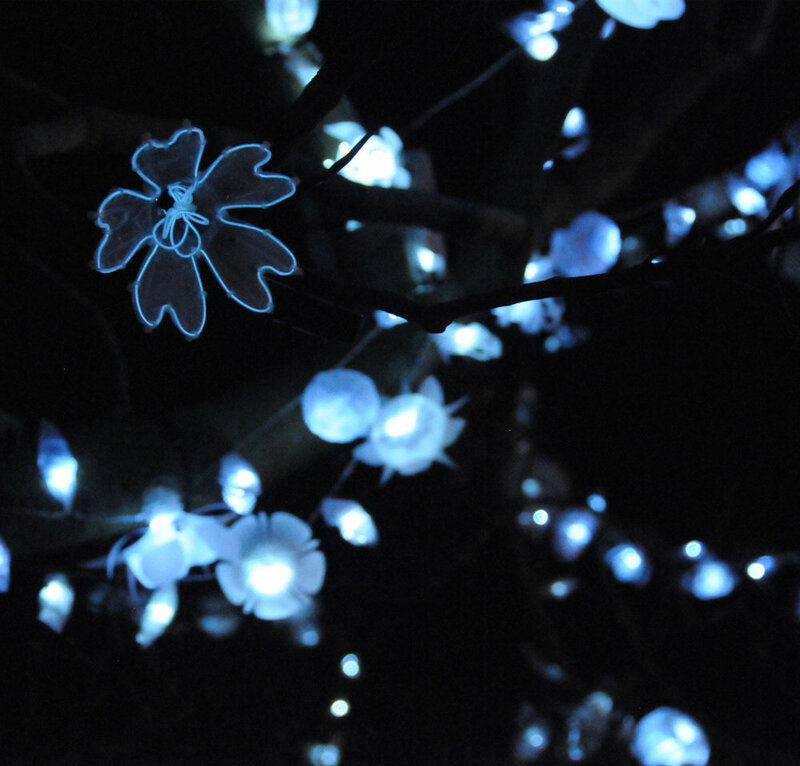 Each unique plastic bottle flower was lit up by a white LED light and shone brightly in the lovely magnolia tree in the church grounds. There was also a pathway of flowers leading up to the tree and on the ground underneath as if some of the flowers had fallen off. Approximately 4000 people visited the light installation over the course of the evening. 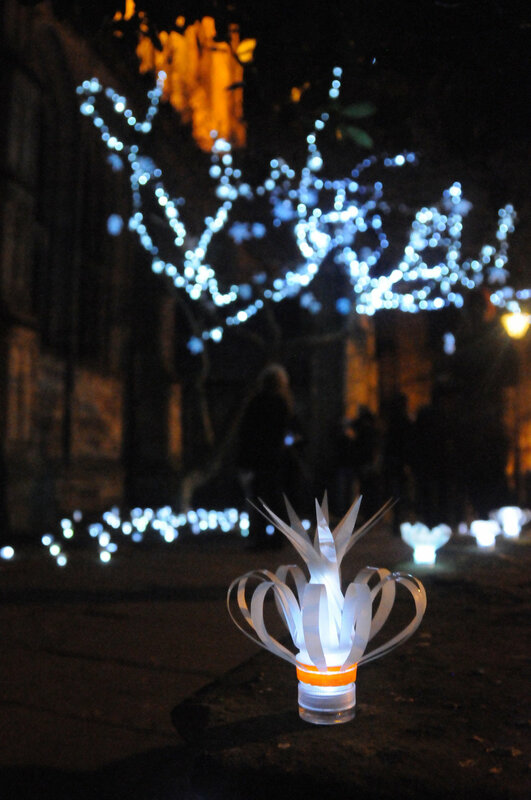 The individual LED flowers are now available for sale in our Online Shop for £7 each. The inspiration behind the idea was to make a bare tree who’s lost all its leaves and flowers for winter and make it look like it has flowered in spring, bringing it to life. Taking a man-made product, a bottle and upcycle it transforming it into a beautiful natural looking form. The light installation is now available for sale/exhibition, please contact info@sarahturner.co.uk for more information.